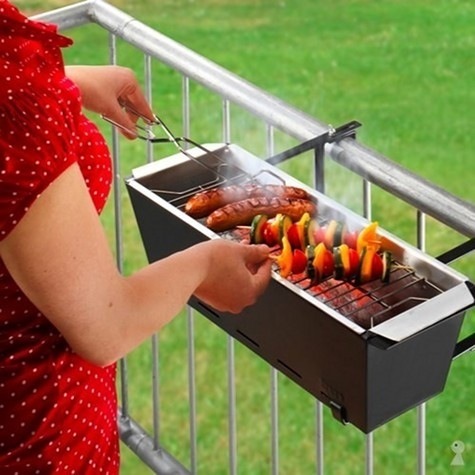 This awesome compact little grill for those without a garden is made by Design Delicatessen in Denmark. It probably contravenes health and safety laws wherever you might want to use it. Even so I want one so bad, I don’t even have an apartment, I might fix one to the front of my bike.